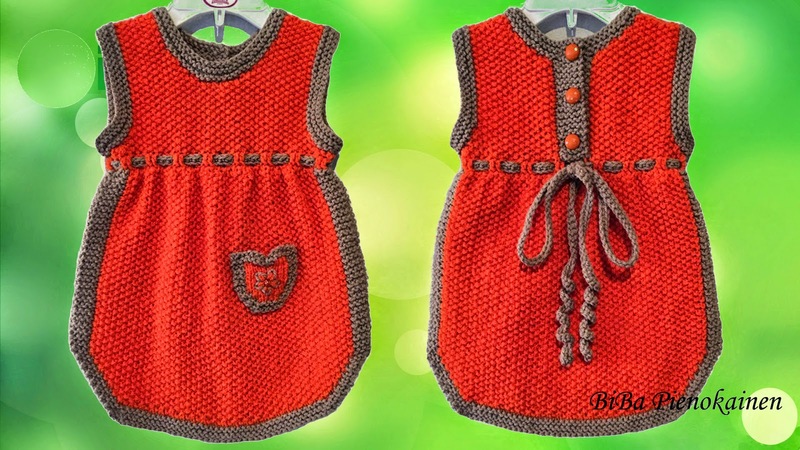 Mom knitted a new dress model, first I thought there are two front sides! 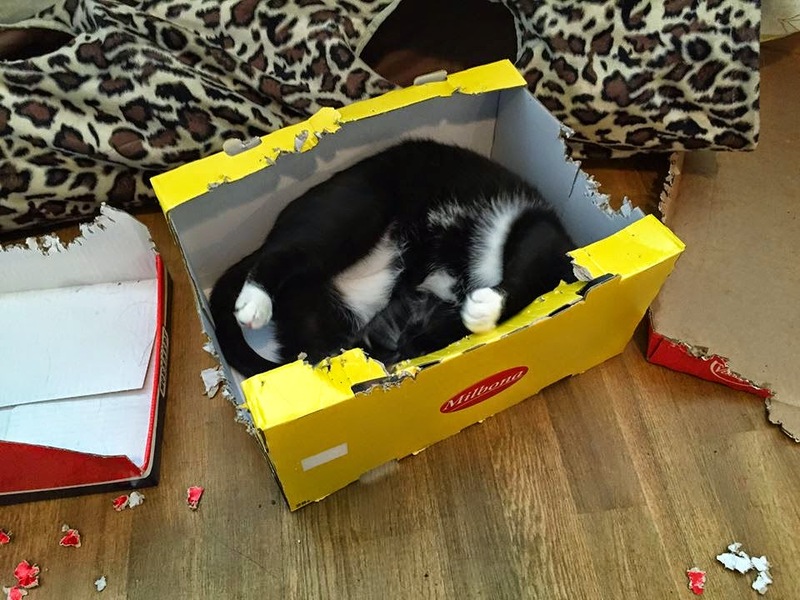 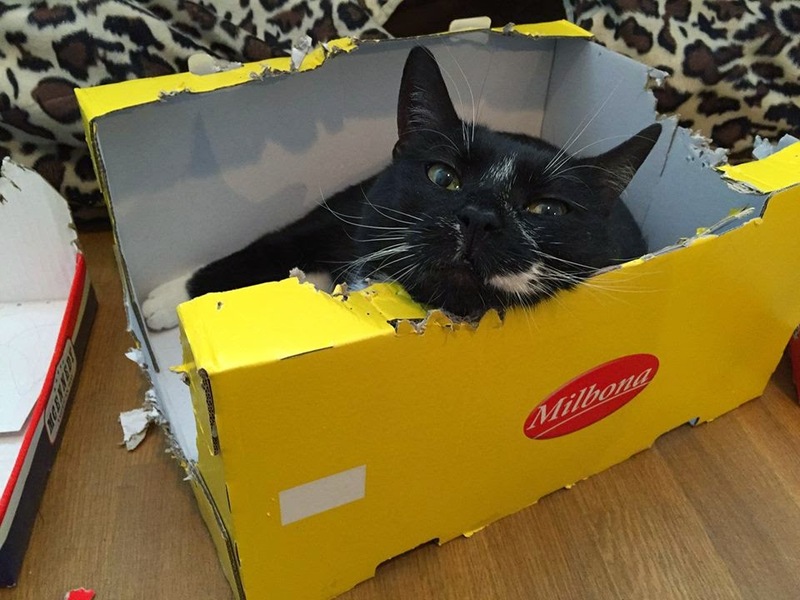 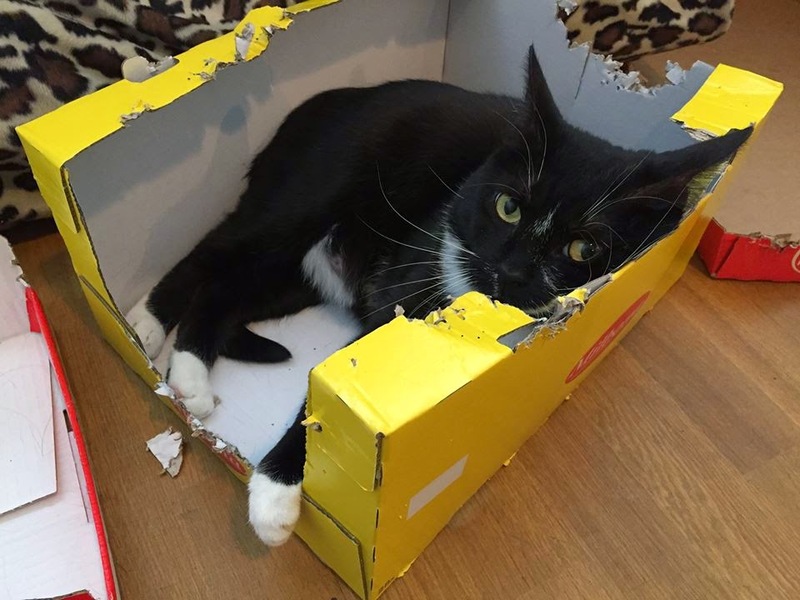 I don`t know why cats are doing it but Muris and Choms (my cats i have introduced to you) they just love cardboard boxes. 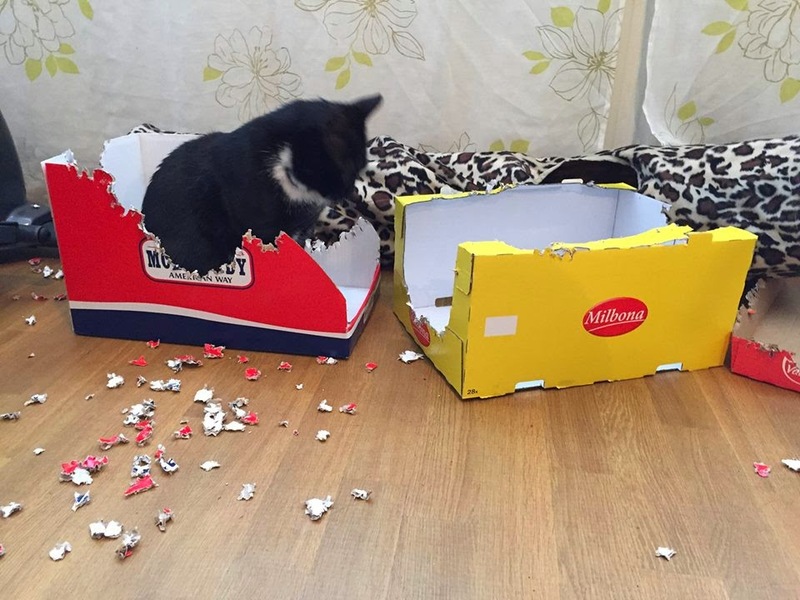 I bring new boxes from shop every time!